By combining pallet technology with innovative engineering, Australian businesses can now be provided with a turnkey palletising solution for any requirement. Outsourcing supply chain management and logistics may bring efficiency gains to a company; however, many businesses tend to overlook their own premises and perhaps are operating with a low level of internal handling efficiency. Materials handling specialist, Industrial Conveying (Aust) Pty Ltd – ICA, has studied the whole materials handling spectrum and found two main areas in which transporting and handling goods can return optimum efficiency, especially when working with pallets. 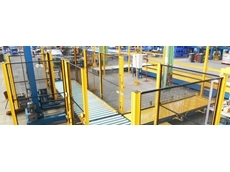 Firstly, it is important to completely integrate the materials handling system to maintain product flow. Additionally, the company should use their contract transport service as a de facto warehousing component. Plant managers are now conscious of reducing the duty cycle of palletising systems and they want the best technology urgently. By combining pallet technology with innovative engineering, Australian businesses can now be provided with a turnkey palletising solution for any requirement. 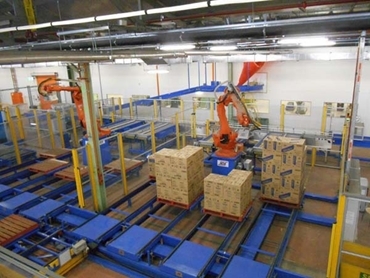 One or a combination of ICA’s multiple technologies can be integrated with a client’s sorting system so that it can operate a multiple product palletising system. This means supply can be made on an as-needed basis using a dedicated palletising system that can include anything from fixed machines, conveyors and lifting equipment all the way through to robotic systems. 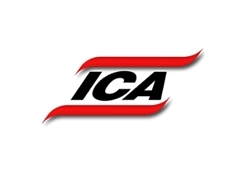 Furthermore, by utilising an extensive range of standard dedicated palletisers, ICA’s engineers are able to efficiently develop ideal solutions to any palletising challenge. Companies that have studied the logistics market and see the positives of utilising transport and freight services to eliminate costly warehousing and speed up truck turnaround times are smart operators. Key to this is knowing exactly how to set up loading and unloading systems to work in synchronicity with transport company services. 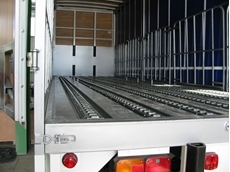 Until recently, operations managers have been content to receive stock through an incoming goods dock, store it temporarily while organising transport to its client, and then eventually send it again on another truck. This has been occurring in virtually every industry including perishables, food and beverage, engineering, mining, agricultural and rural, primary industry, retail and consumer products among many more. However, with an optimised materials handling system in place, smart companies, instead of storing stock on the premises for an indefinite period, rarely have to see their goods. 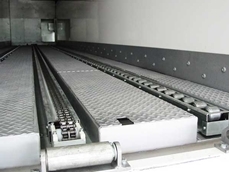 Instead, they use a clever materials transfer system on their site that instantly moves goods from incoming to outgoing without storage, or they have equipped their transport carrier with appropriate systems to load and unload palletised or non-palletised product and transport it directly to their clients without warehousing. This approach is improving supply chain standards and eliminating double handling and storage time that costs business in so many ways. Warehouse storage costs money, therefore, the elimination of reliance on warehousing is an automatic and enormous cost saver for the company. Reduction in multiple handling of stock also reduces time and operating costs and ensures smoother movement of product from manufacturing base to the customer. In the case of perishables, reduction in supply chain steps can only be of benefit to handlers of product with limited shelf life. ICA’s involvement in this type of materials handling solution was sparked by a growing call from industry that warehouse consolidation alone does not adequately reduce running costs. 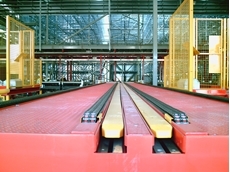 A step had to be taken out of the materials handling sequence to provide a leaner level of operation for many Australian companies. This has allowed ICA to develop fixed and purpose-built systems for a demanding market serious about making transport systems a de facto storage solution. Elevators and spiral conveyors for non-palletised goods transfer between different floor levels, powered roller conveyor and lift tables. For more information, please visit the IndustrialConveying (Aust) Pty Ltd website.